Have you found an entry on your credit report that you have questions about? The first step to resolving your issue is to be sure you are contacting the correct company. 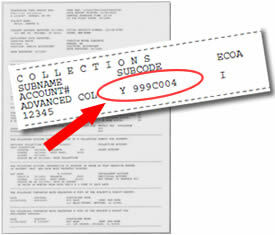 If you reside outside Indiana, you may be searching for another collection agency with the same or similar name. If you are in Texas, Utah, Nevada or Colorado, you are most likely searching for a different accounts receivable management company with a similar name of Allied. You can also verify the identity of the company by checking the subscriber number on your credit report with the credit reporting agency. Collection information includes the name of the collection agency providing information, consumer’s account number with the collection agency, collector’s Kind of Business designators and the credit reporting agency’s assigned subscriber number. Due to the high volume of misdirected letters we receive each day, we are unable to respond to disputes that are not related to our company. Please call 812.372.0263 with any questions. Please check our FAQs for additional information.